Truth is, I got to the store had my coupons all over the place, didn’t know what I was looking for – the trip took FOREVER and was frustrating. But, try again I did and eventually got a good system down for a successful couponing trip. Before we jump into all the couponing tips for beginners, let’s talk for a second about WHY you should be couponing! Couponing doesn’t HAVE to be super time consuming, but it does allow you to SAVE tons of money! 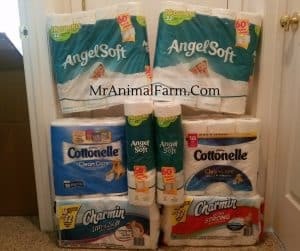 The amount of money that coupon has saved our family allowed me to quit my full-time job several years ago and go back to school. 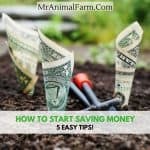 Once school was over and we decided we wanted to buy our own house with enough land to start our homestead, couponing helped us to save up the money for a down payment! Of course, couponing alone will not help you save and hit all of your hopes and dreams. You should make sure you understand how to make frugal decisions and that you know what your goals are so that you are working towards them. 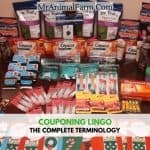 Want to learn everything you need to know for your first couponing trip? The Couponing for Beginners Planner will walk you through the basics including checklists and worksheets so that you can start your first successful couponing trip! 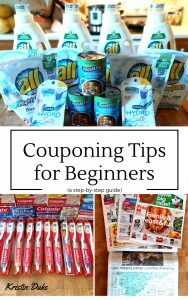 I think there are a few important couponing tips for beginners to take note of before they start couponing on their first couponing trip. Learning how to get started couponing really isn’t super difficult. 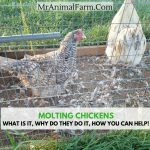 There is some research you need to do in order to understand all the terminology, rules and tricks. But the main couponing tips for beginners that I believe are important are more about HOW to go about doing your couponing. No matter your reason for couponing, whether it is to cut down on your food budget, make more room for saving money, buy your own land and house or just to create a buffer in your general budget, everyone just starting couponing should follow some basics steps. 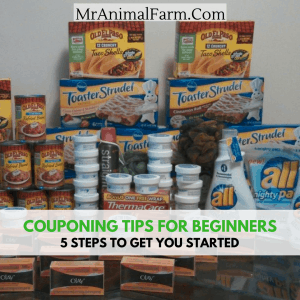 Let’s talk about the 5 couponing tips for beginners. Couponing for beginners can seem overwhelming and having a bad first trip when you start couponing may make you not want to keep going. 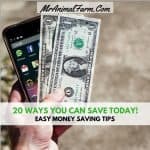 If I had followed these 5 tips when I was learning how to get start couponing my first few trips would have gone SO much smoother. But hindsight is 20-20, isn’t it? The biggest couponing for beginners tip is to plan. This is really so important, really PLAN your trip out. 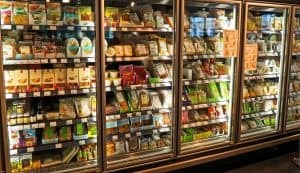 Know what store you want to go to, what you are going to get, what aisle items are on (if possible). If you will have multiple transactions, know what order to do them in and what items go on what transaction. If you will have overage, know what you are going to apply that to. Get the whole trip thoroughly planned, it will really cut down on your stress and decrease mistakes. Don’t be like me and try massive couponing trips at FOUR different stores when you start couponing. You are likely to get overwhelmed (I know I did!). Just take the time to learn how one store works before moving on to your next one. 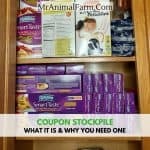 One of the biggest couponing for beginners hurdle is staying organized. There is so much new stuff to keep track of! Make sure you have everything all organized before you start shopping. There is nothing worse than getting to the checkout and not having your coupons cut. Make sure you have your coupons ready, in order and easily accessible. I don’t leave the house without my small coupon binder. Make sure that you keep your inserts at home organized too. I LOVE this binder that I use to organize all of my inserts. When you start couponing, be prepared for your totals. When you are couponing, sometimes those before sales and coupon totals are SCARY! Calculate them beforehand so that you know what to expect. 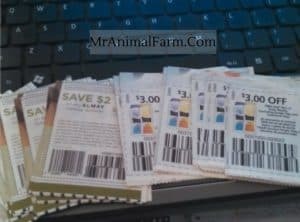 Also, make sure to know what your total after coupons should be so that you can make sure everything processed right. This way you don’t have to wonder and question things at checkout. Let me tell you a secret, probably no one needs 75 frozen tv dinners. Ok, maybe some of you LOVE frozen tv dinners. But on one of my first trips I bought 75 of them because they were like ten cents each – a great deal! Well, I don’t really eat tv dinners and choking down 75 of them was painful. So, just buy things that you like, want and need! 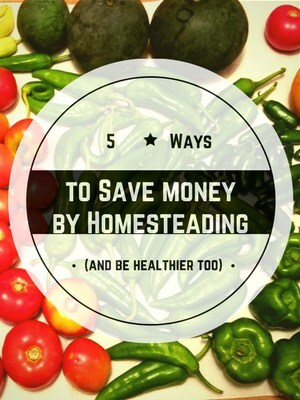 This is a huge and important one of the couponing tips for beginners to learn. When you start couponing it can be a great way to help keep your budget under control. 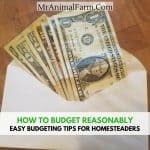 I use these budget tracking spreadsheets for our household to make sure I know exactly how much we can spend on each area per month. But if you start couponing and start buying things you don’t need, then all that does is ADD to your budget. Which is definitely NOT the goal for couponing. 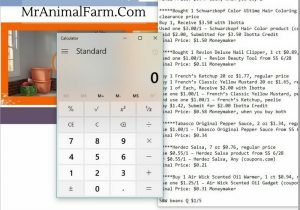 If you are learning how to get started couponing and follow these couponing tips for beginners, the sky is the limit in your couponing journey! Ready for your first trip, but not sure how to plan it, what to do in the store or how to make your shopping list? The Couponing for Beginners Planner will walk you through step-by-step! What was your first couponing trip like? Drop a comment below to tell me how it went! It can be overwhelming getting started. But I know that you can coupon successfully too! 🙂 If you have had trouble on your first few trips, my suggestion would be to just do one store and pre-planned with ads and deal sites to do just a SMALL trip – so one or two items. This way it is less stressful and you can get adjusted to how it all works. 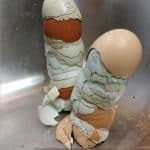 You can then build up from there! 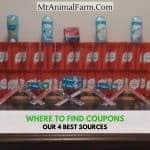 We have several other articles on other couponing tips as well as a couponing planner if you’re interested in having checklists and whatnot to help you get started 🙂 Also, always happy to answer questions.